It seems that every time I look over at Chesil it seems rougher than ever. I am sure there are plenty of you that wanted to get out and have a last fishing session of the year, but it wont be on Chesil today. Having said that the wind is forecast to start to drop of and switch to the NW in the early hours of the morning. It is possible that Chesil will be fishable on New Years day. If it is not it certainly will be on Wednesday. I have already got my bait booked and will be hitting a mark that I am confident will produce a nice Cod or Bass. If you fancy a bit of a change from trying to battle the sea then you could have a go at some freshwater fishing. A freind of mine who regularly fishes Harbour Bridge Lakes in Chickerel Weymouth has been having some good results recently. 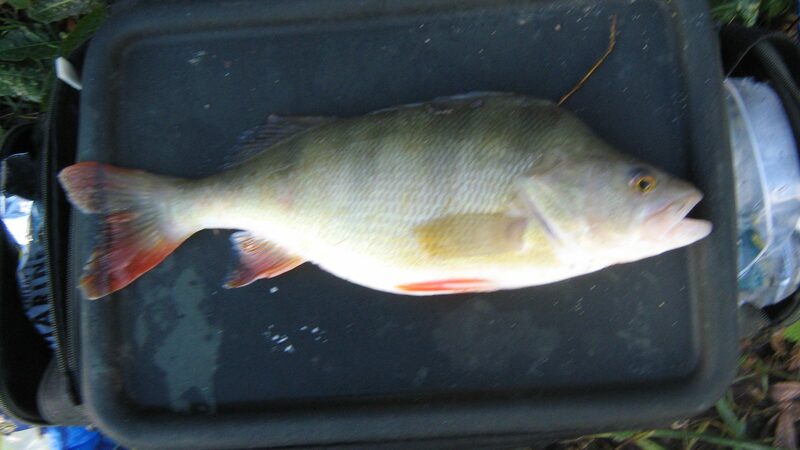 He managed to hook a lovely Perch of around 4lb. I have had some nice Perch from these lakes on lures. It looks like I will have to have another trip there again soon. Dorchester District Angling Society (DDAS) members can fish these lakes as part of their season ticket, but you can also turn up and pay the owner, who regularly comes round. Chesil Beach: Very rough and dangerous, the water is heavily coloured huge rafts of weed have built up all along the beach but especially in Chesil Cove. Portland: The West side of the island and the Bill are very rough. The East side is more sheltered with a swell of 2m. Portland Harbour: Wavelets with slightly coloured water. Chesil Beach forecast: Too dangerous and rough to fish. Portland: Whilst the West side is a bit too rough to fish, marks such as Church Ope Cove and Chine may well provide some good fishing. Large fish baits will help catch large Bull Huss and Pollock. The water is going to be too dirty for Wrasse fishing but there is always the chance of a Cod and Bass. Weymouth Bay: Preston has to be a good back up mark again today, at least it will provide shelter and hopefully some Whiting. It is more than possible that a few Bass will show there again today. 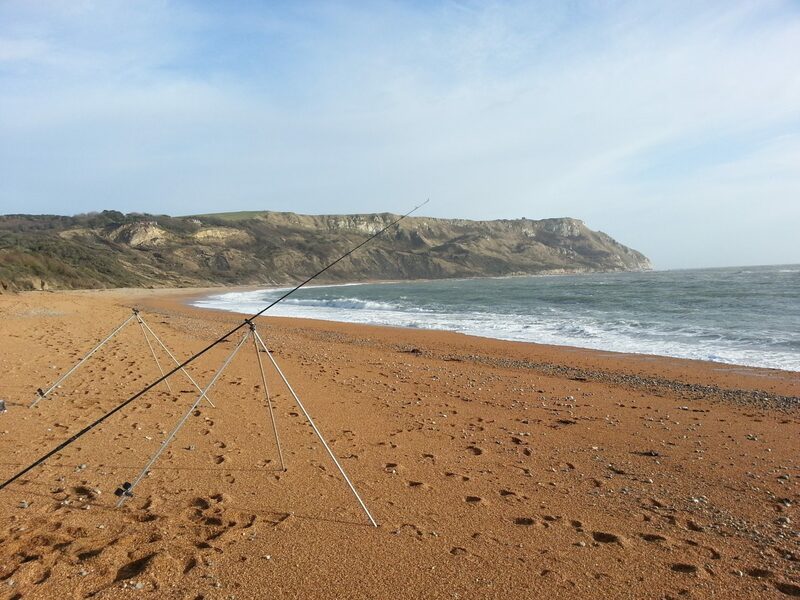 The Purbecks: I fished Ringstead Bay yesterday with a couple of my friends. Although conditions were reasonable compared to Chesil the fishing was pretty tough going. One of my friends hooked and lost a conger close to the reef and I had a few decent bites on whole squid, all we could manage was a couple of Wrasse. However we did fish over low water. I think if we had persevered and fished over high we would have had far better results. The picture below shows how calm the fishing is inside the reef. Poole Harbour: Large amounts of flood water are having a big effect on the flounder fishing. One or two fish have been caught but I would have to think long and hard as to whether it was worth travelling a long way to catch a single Flounder.